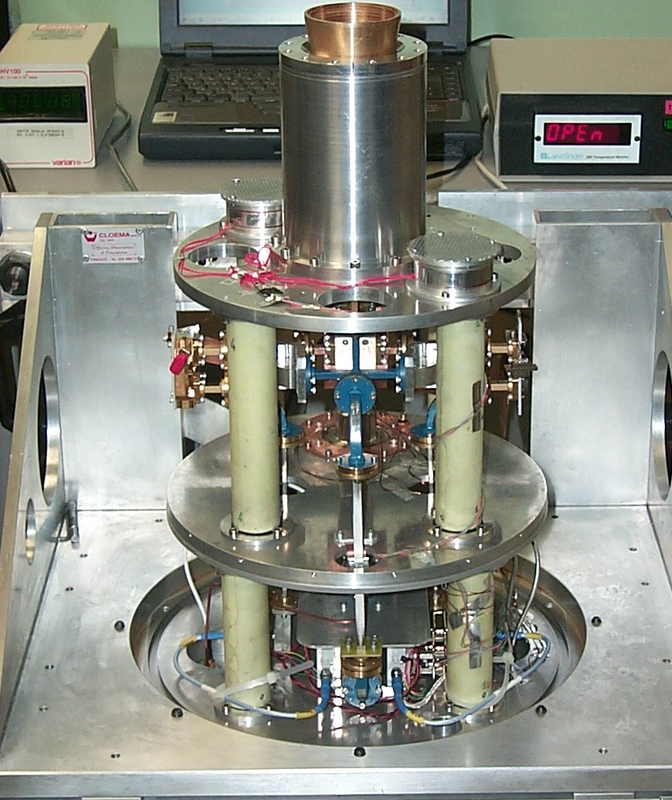 43Ghz cryogenic receiver. 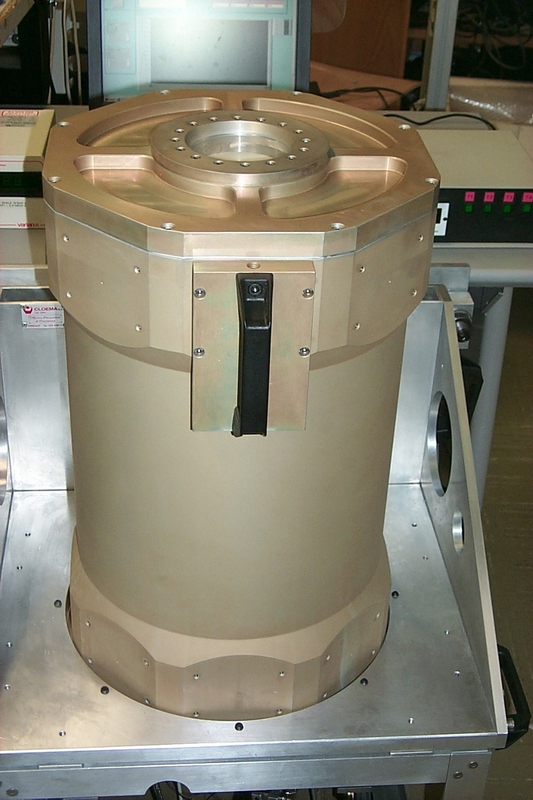 This receiver is at the moment being used in the secondary focus of the Noto Antenna at the Radio Astronomy Institute of Inaf (IRA-INAF). 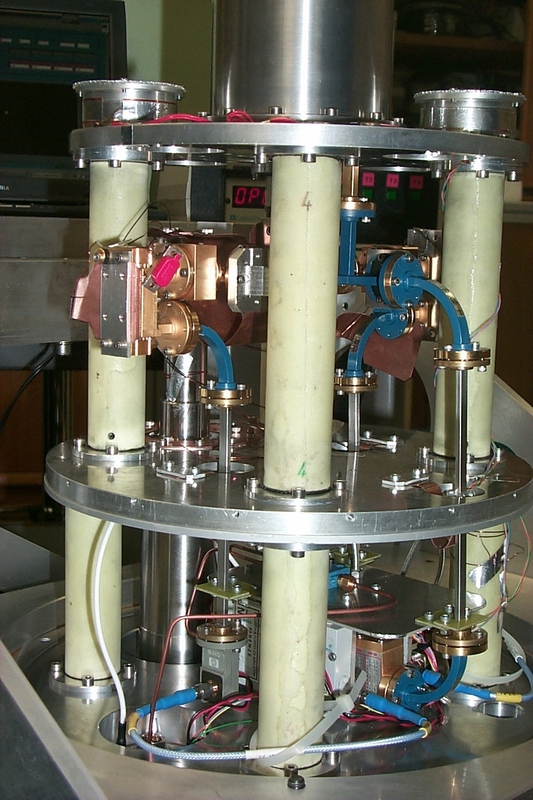 The receiver works in the 39-43.5GHz band with double circular polarization. 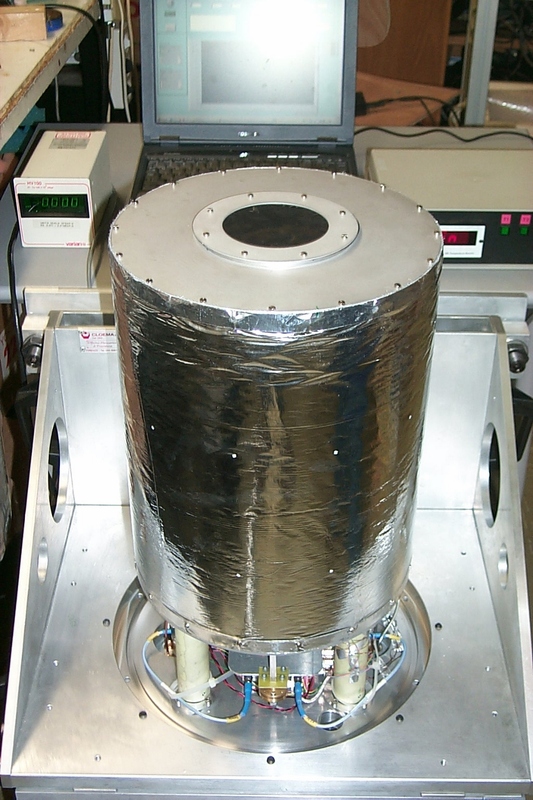 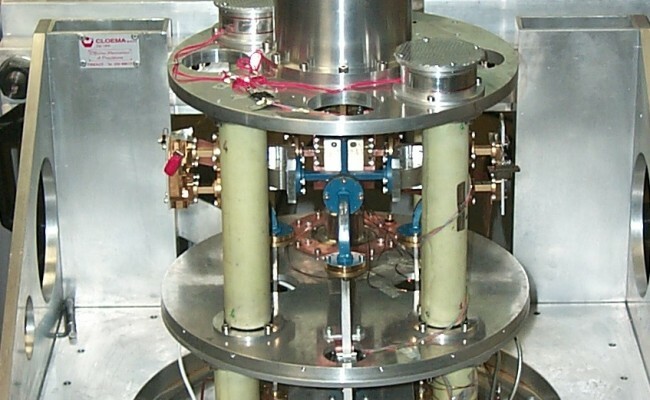 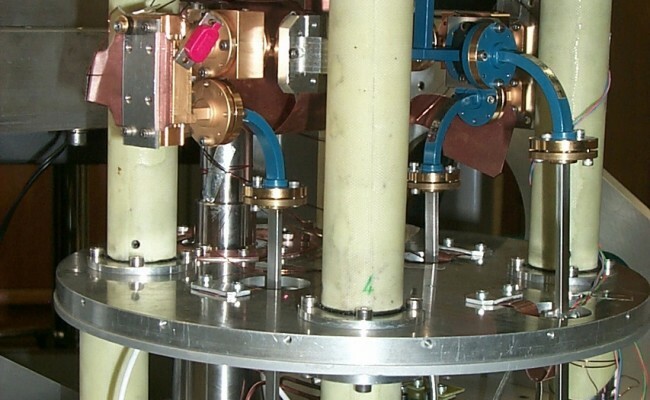 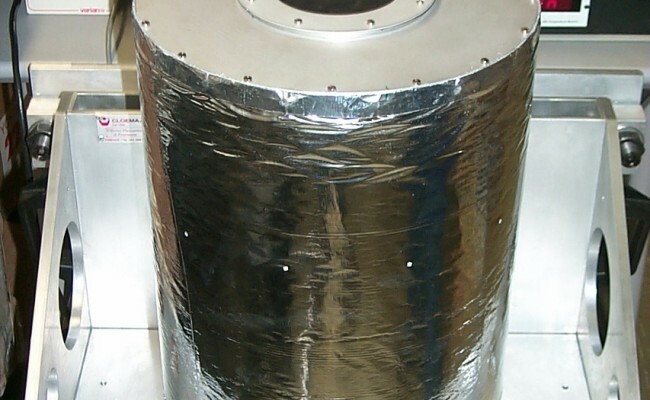 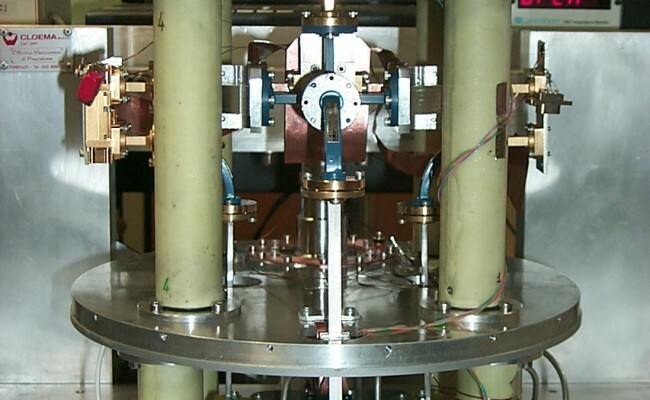 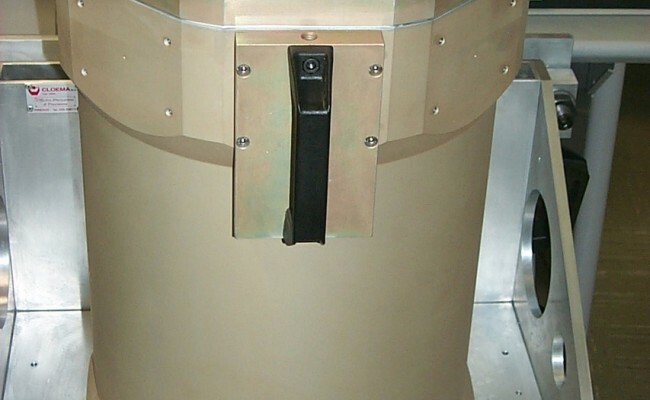 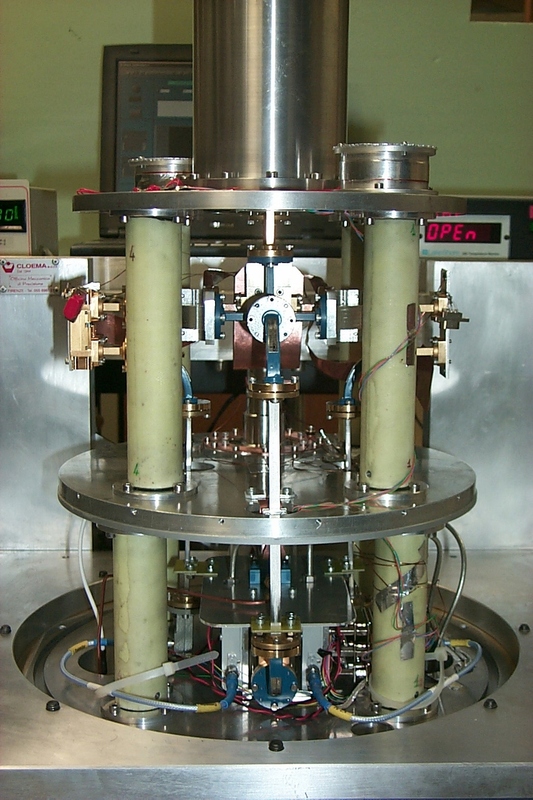 In the picture, there is a detail of the vacuum chamber made of aluminum and containing the internal part of the receiver, the thermal shield and from top to bottom the 20K surface comprising the feed, the 70K intermediate surface and the 300K base.